Courtesy of Water Country USA. I’m finally back from a week-long trip to Edinburgh, Scotland to cover a medical conference (and to see just about every fun site the city had to offer!) And I’ll spend all next week posting about that very old, very interesting city. 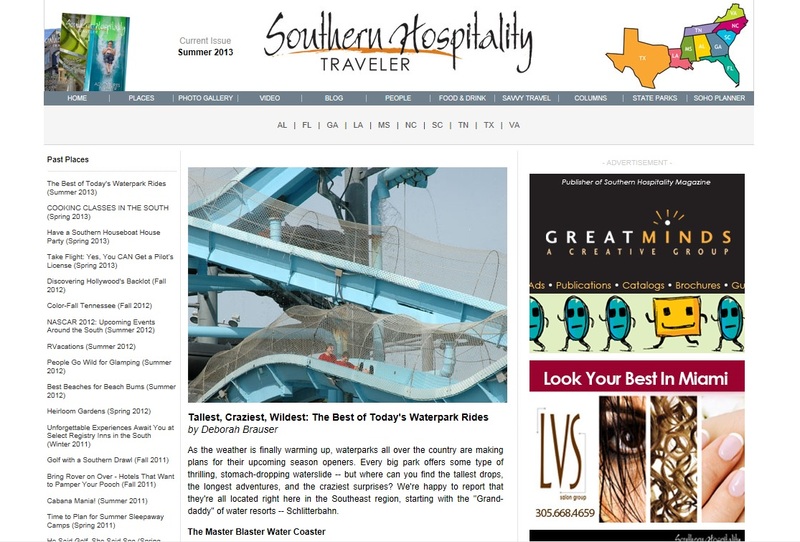 But today I wanted to give a short shout-out to Southern Hospitality Traveler Magazine, which just now published my story on the “Tallest, Craziest, and Wildest Waterpark Rides” in the southeast region. My story – published today! 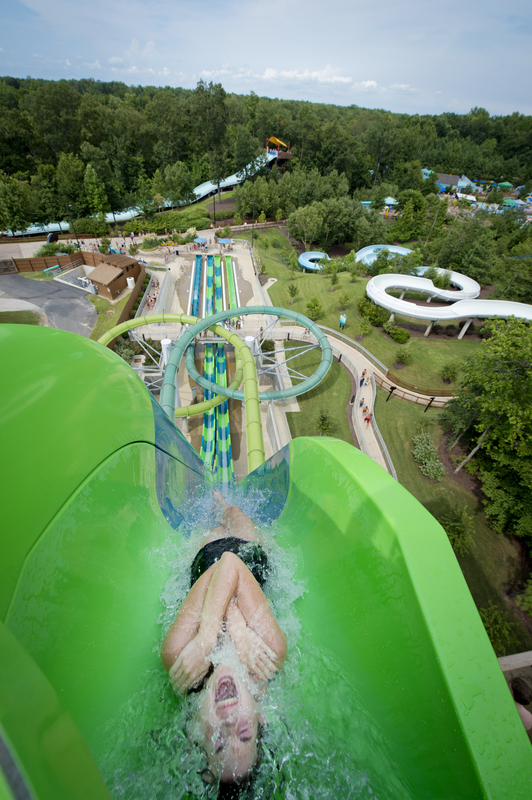 These include Schlitterbahn New Braunfel’s ever-popular Master Blaster uphill water coaster and the absolutely crazy Vanish Point at Water Country USA in Williamsburg, Virginia. The latter ride is a see-through booth where guests step inside, the glass door closes, and then the floor literally drops out — sending them plummeting straight down into an enclosed water flume. I love thrill rides but even I have to admit this one is a little nuts!